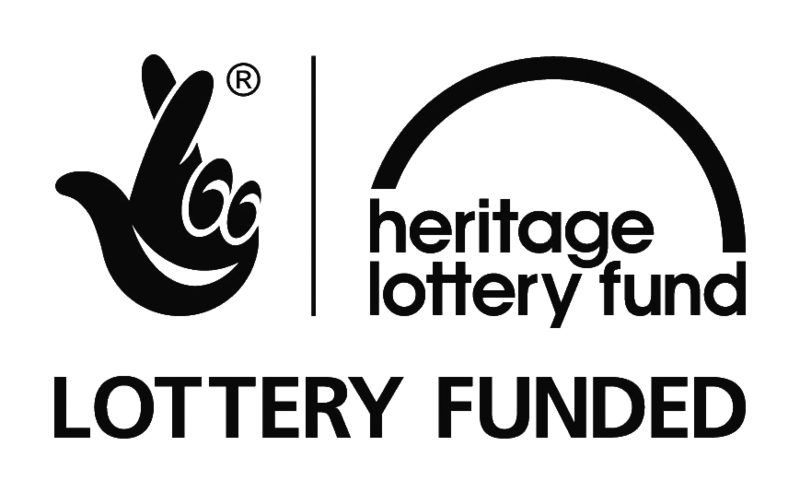 St George’s Hall has undergone major refurbishment, which has been made possible by funding from Bradford Council and the Heritage Lottery Fund. The extensive refurbishment of this much loved building has included a wide-range of work both to its exterior and interior. As well as major works to the roof, windows, electrics and stonework, the front-of-house areas have been increased, where possible, and have been decorated sympathetically to suit the heritage of the building. Brand new seats have also been installed after specialist consultants advised on ways to improve sight lines and comfort in the auditorium, whilst ensuring the world class acoustics are unaffected. You can gain access to St George’s Hall via the new glass foyer on Bridge Street; or on Hall Ings through three new entrance doors; or on show nights, via the ramp on Bridge Street. There are also improved facilities for customers with disabilities including an installation of a lift (inside the venue from the main bar to stalls level), more wheelchair positions and easy access toilet facilities. 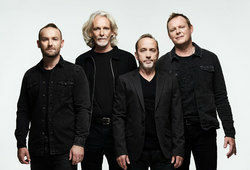 The Box Office counter at St George’s Hall opens Monday to Saturday 10am to 6pm; and on performance days the Box Office will close 30 minutes after the show start time. 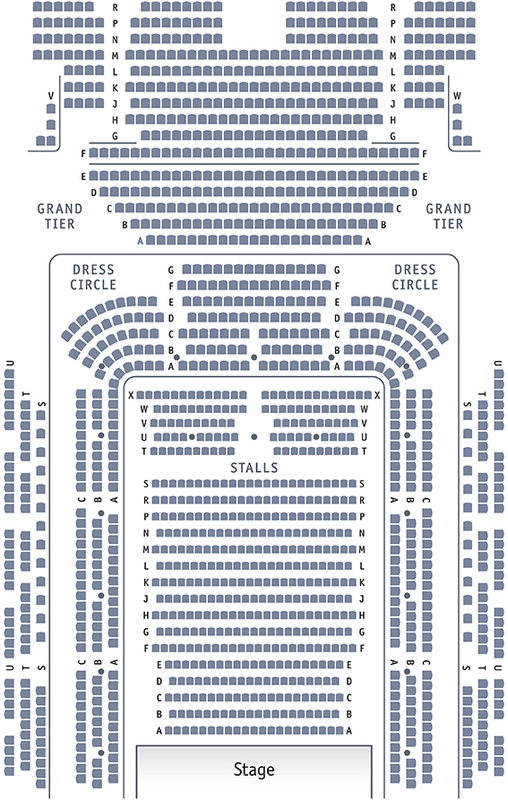 You can download a PDF seating plan by clicking here or by viewing the image opposite. 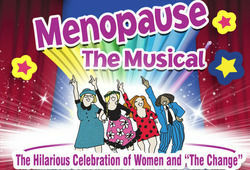 Please note, for some shows rows A to E in the stalls will be removed. Bradford Theatres and Bradford Council are committed to ensuring all customers can participate and enjoy Bradford Theatres events equally. 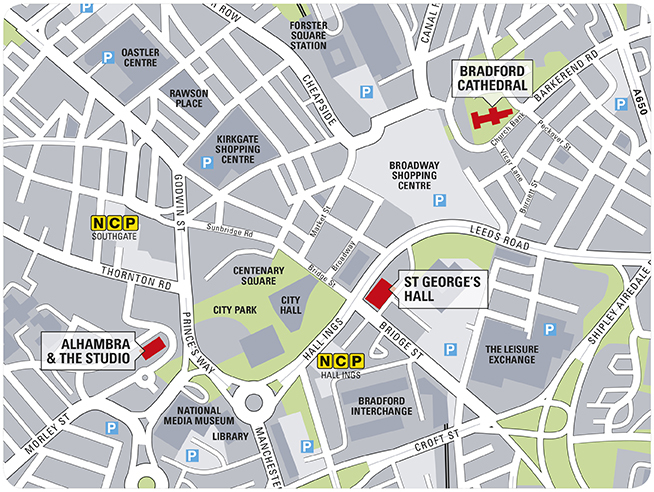 For customers who need someone to be with them to access the service or facility at Bradford Theatres, there is now an Access & Carer Membership Scheme in operation. Membership is free and valid for a period of three years, click here for more information. Bradford Theatres have won the Theatrical Management Association (TMA) Award (now UK Theatre) for Most Welcoming Theatre in recent years and have been shortlisted on several other occasions. Bradford Theatres have also been a White Rose Tourism nominee in the 'Access For All' category. 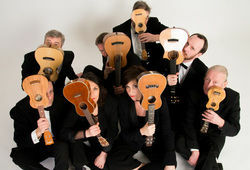 The world’s very first Ukulele Orchestra comes to Bradford! WANNABE is a spectacular concert created to celebrate the career of the World's biggest girl band, the Spice Girls. St. George's Hall is in the centre of Bradford on Bridge Street. It is a few minutes’ walk from bus stops on Centenary Square. It is next to the Great Victoria Hotel and the Telegraph and Argus building. For driving directions, put our postcode BD1 1JT in your Satellite Navigation (Sat Nav) or into a route planner on the web at RAC Route Planner or at the AA Route Finder.